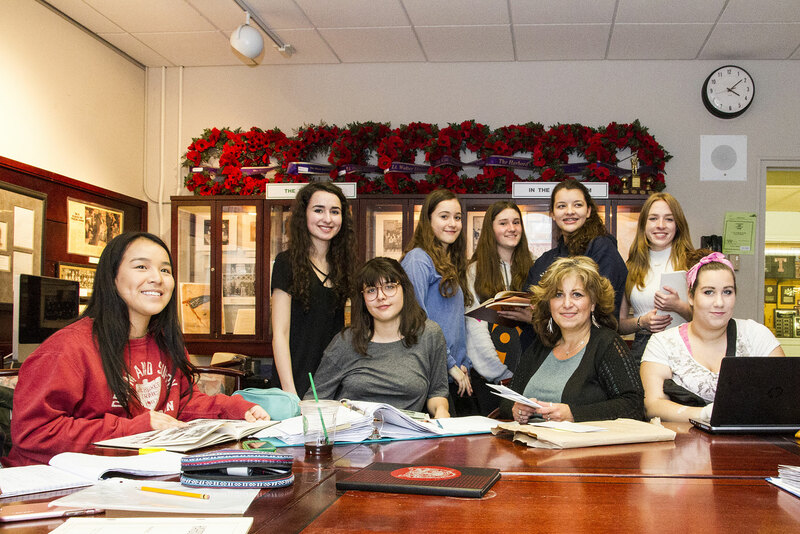 PHOTO BY GEREMY BORDONARO/GLEANER NEWS: Harbord Collegiate Institute teacher Belinda Medeiros-Felix and student volunteers prepare to celebrate the school’s 125th anniversary later this month. They are surrounded by the school’s memorabilia, which are housed in its museum, the first of its kind in Canada. The school is also home to two memorials to the First and Second World wars.